This content was published: January 8, 2013. Phone numbers, email addresses, and other information may have changed. As 2012 came to a close, it marked a notable list of honors, awards, and accolades for leaders from Sylvania’s English and World Languages Division. “Little by little, one by one, I kept receiving word of yet another award that faculty members in our division had received,” said David Stout, division dean. “Over the course of the past year, it was really quite an impressive list of accomplishments, and I’m excited for and proud of each of these instructors,” he said. Vandoren Wheeler, a Sylvania composition and literature instructor for the past nine years, was honored with the 2012 Dorothy Brunsman Poetry Prize for his book, “The Accidentalist.” The award – which came with a $1,000 prize and book publication – is given by Bear Star, an independent publishing company in northern California. “The Accidentalist” is Wheeler’s first book and features nearly 40 poems on a variety of topics ranging from family to language, art, faith, and death. It is available through Bear Star and Amazon.com. Wheeler graduated with a master’s in fine arts, in poetry, from Warner Wilson College in Asheville, N.C. He completed his undergraduate work at the University of New Mexico, having earned a double major in English and Spanish. Michael McDowell, a composition and literature instructor at Sylvania since 1977, recently published his first book of poetry, “The Hundred-Year House,” through Windfall Press, which is available at the Sylvania Bookstore and also at Amazon.com. A Portland native, McDowell’s poetry is inspired by nature, environmentalism, social issues and the relationships between people and the landscapes in which they live. The theme of “The Hundred-Year House” places heavy emphasis on family; on its cover is a painting of the McDowell family beach house – built in 1883 – on Washington’s Long Beach peninsula. McDowell earned his doctorate in English literature from the University of Oregon after obtaining his master’s from the University of Virginia and his bachelor’s from Stanford University. 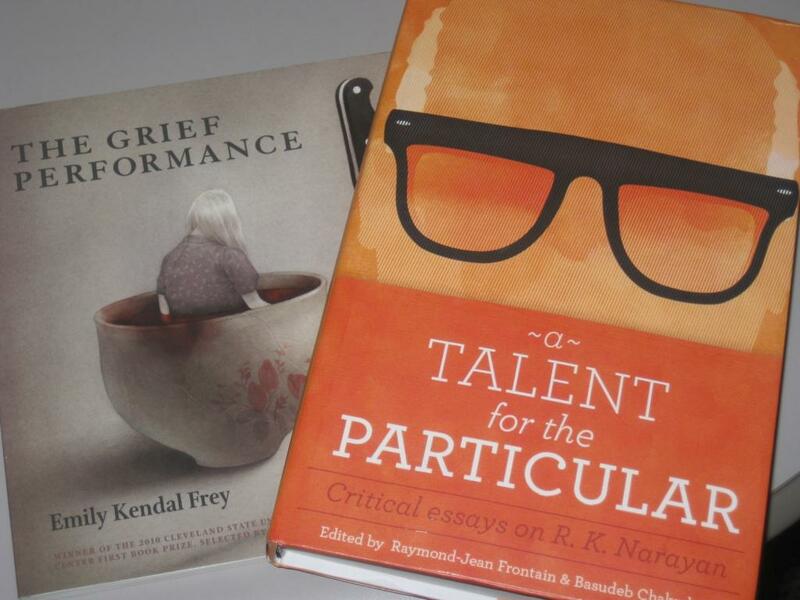 Emily Frey, also a Sylvania-based composition and literature instructor, is the winner of the 2012 Norma Farber First Book Award for her book of poetry, “The Grief Performance.” The prestigious award is given by the Poetry Society of America. It was established by the family and friends of Norma Farber, poet and author of children’s books, for a first book of original poetry written by an American and published in either a hard or soft cover in a standard edition. “The Grief Performance” was published by Cleveland State University Poetry Center and is available at Amazon.com. Luciana Diniz, an instructor in the English for Speakers of Other Languages department at the Sylvania Campus, is the co-author of “Grammar and Beyond Level 4,” a textbook to help students apply accurate information about grammar to their own speech and writing. The book enables students to study grammar in a realistic context and through charts and notes; this ensures practice in reading, writing, listening and speaking. “Grammar and Beyond Level 4” is available through Amazon.com. 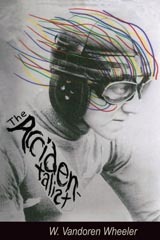 ‘The Accidentalist,’ Vandoren Wheeler’s first published book of poetry. 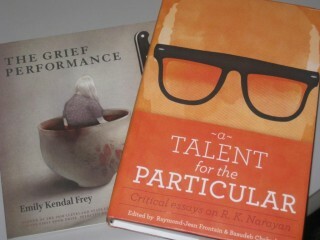 Bryan Hull, a long-time composition and literature instructor at Sylvania and also the faculty coordinator of PCC’s internationalization initiative, wrote an essay as part of the newly published book, “A Talent for the Particular: Critical essays on R.K. Narayan,” which is available through Amazon.com. Hull’s essay is one of 17 collected from scholars around the world who address novelist R.K. Narayan’s fiction and non-fiction prose. Narayan is known for his rich detail highlighting conflicts integral to 20th century Indian culture: between traditional and modern values in India, and between native Indians and their former British rulers. Andrew Giarelli, an adjunct English and writing instructor at the Sylvania Campus, just published his book about Rome, “American Romanista.” Evocative forays into history, reportage on contemporary life, and the author’s 40-year love affair with Rome inform the book. Giarelli searches for lessons across Rome’s 28 centuries to the modern city of 2.5 million. Finally, two graduates from PCC’s Sign Language Interpretation program, part of the English and World Languages division, were chosen to participate in a competitive 12-week “School-to-Work Program” organized and funded by Video Relay Service Interpreting Institute. Graduates Summer Nunn and Brandi Burrell were tapped to be part of this year’s cohort, which took place in Salt Lake City, Utah. To be accepted into the program – a “bridge” to gap the period between graduation and entry into the professional interpreting field – students undergo a rigorous screening process. Once accepted, they begin an immersion program of additional interpreting education, mentoring and working internships in the deaf community. “This is a significant accomplishment for students in our program, and I’m very proud of them,” said Xenia Woods, chair of the Sign Language Interpretation program.